BMR Super Pro cradle insert bushings enhance the rear stability of the vehicle by minimizing rear cradle movement. This provides a much more predictable platform that permits the suspension to more accurately do its job. platform that permits the suspension to more accurately do its job. ride quality or noise level with this modification. rubber bushings. 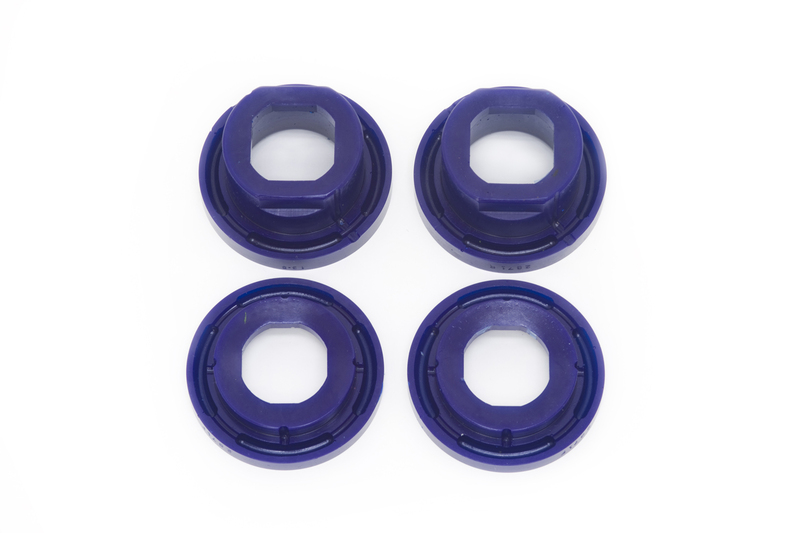 This product only contains the lower cradle bushing inserts. Part number BMR-SPF2872K must be purchased for the upper cradle bushing inserts. All SuperPro bushings now come with a “Lifetime Warranty, with no Exclusions” that is retroacive on previous orders. Contact BMR Suspensions for further details. Interested in ordering some BMR Suspension Upgrades for your Pontiac G8 or Chevrolet SS? Call ModBargains at 714-582-3330 to make an order today!